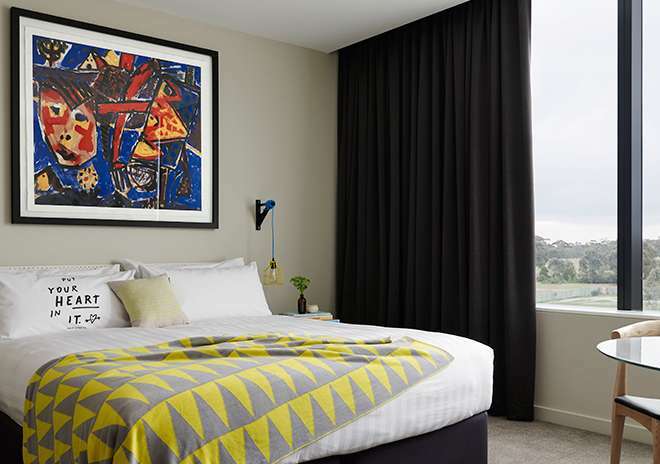 Designed with the artist in mind, each Workspace in our Parkville hotel offers room to move with heaps of natural light, work desks, fluffy beds, sparkling bathrooms and quirky little extras. 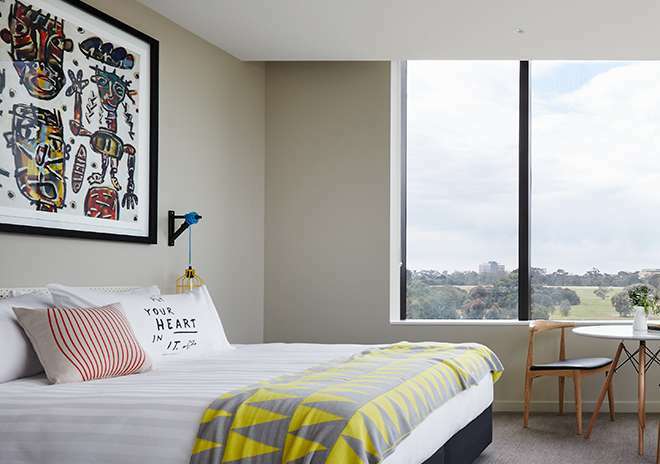 It’s all the things you need from your North Melbourne accommodationand then that bit more. 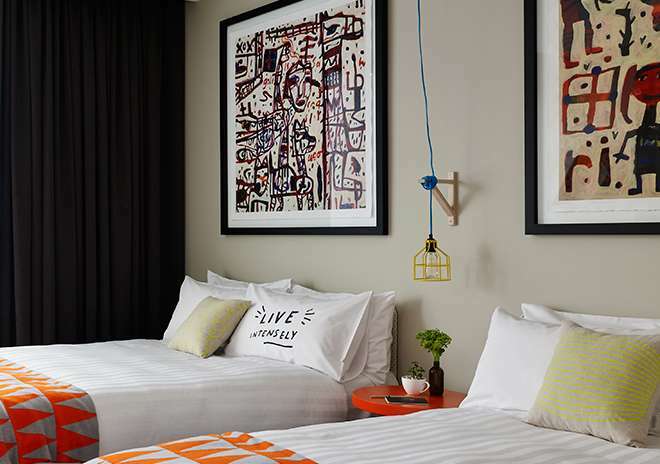 Designed with the artist in mind, our Workspaces have room to move with heaps of natural light, work desks, fluffy beds, sparkling bathrooms and quirky little extras. All the things you need from your Melbourne accomodation and then that bit more. 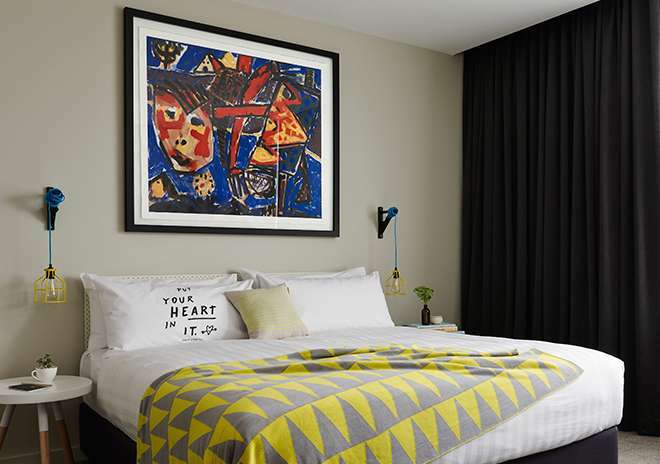 Stay inspired in a Workspace Parkview King, combining Art Series signature comforts with The Larwill Studio's quirks. 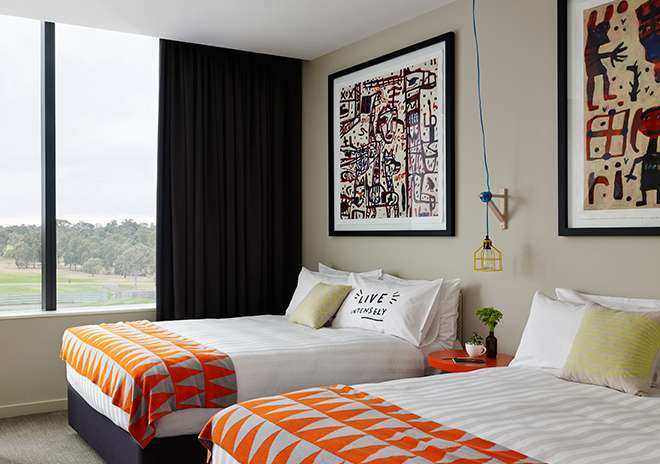 Rest up in your comfy bed, get creative at the work desk or grab a coffee and take in the incredible parkland views from our hotel in North Melbourne.